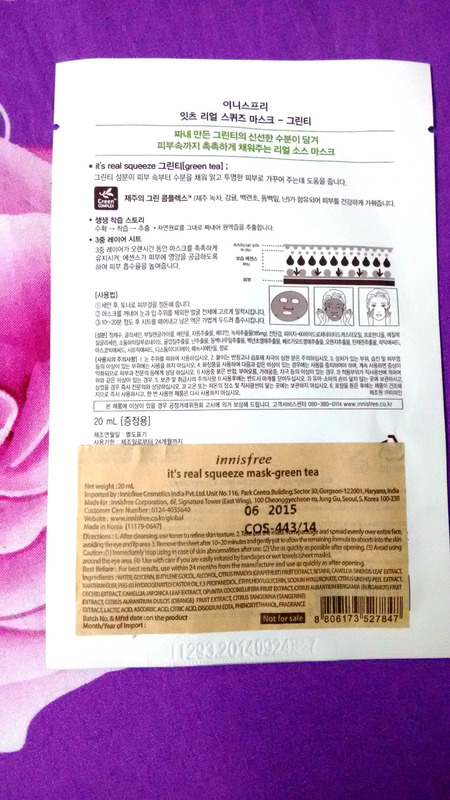 Since everyone’s raving over FACE MASK SHEETS these days, I thought why not review this amazing product from the famous KOREAN BRAND, INNISFREE. Korean skincare products are supposedly the best that you can have your hands on and INNISFREE is one of their leading and best selling brands all over the world. 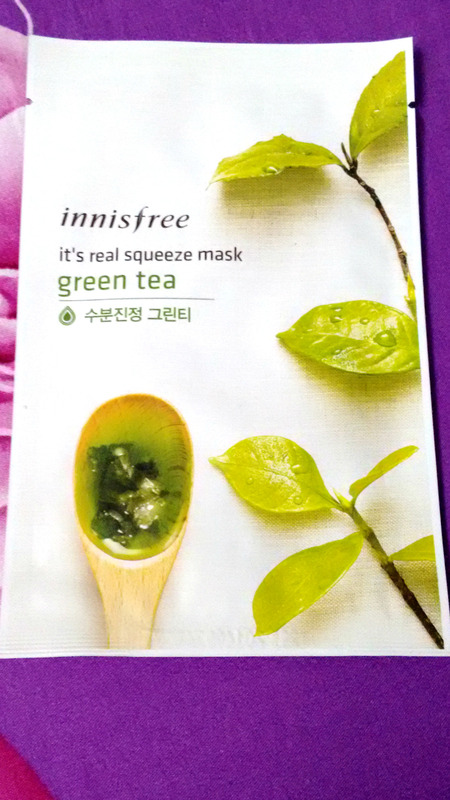 INNISFREE was kind enough to choose me s one of their winners on FB for a contest and sent me the IT’S REAL GREEN TEA MASK. The vitality and deep hydration of their green tea products are supplied by the green tea extracts from the fields of Jeju island, renowned for its cleanliness and abundant floral. Use of these products will leave skin feeling smooth, supple and deeply hydrated. What I did was, wash my face with a face wash in the night and pat dry the skin. 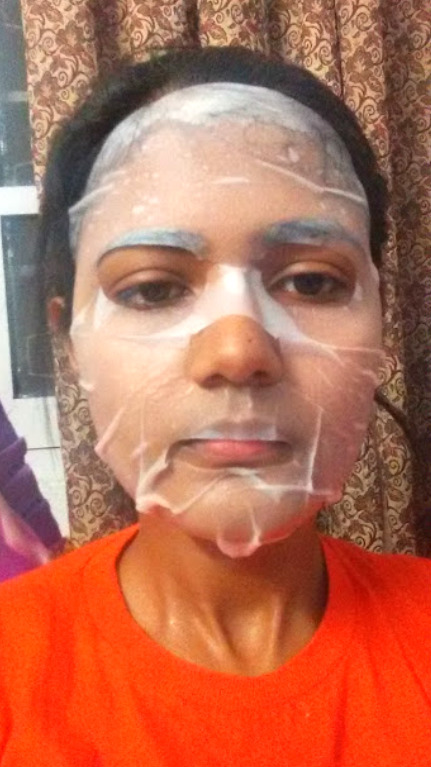 Take out the mask from package and spread evenly over entire face, avoiding the eye area. Remove the sheet after 20-30 minutes or till the mask starts to become dry and gently pat to allow the remaining essence to absorb into the skin. The packet does not contain essence in excess, just the right amount, so that the mask is fully saturated in the essence. The mask sheet is made of high quality cotton with holes cut out for eyes, nose & mouth and is very soft and gentle on skin. The sheets are easy to work with and smells just like green tea, that refreshes and rejuvenates you. I totally loved the feeling that the mask gave me for 30 minutes and enjoyed my first experience. It leaves the skin softer & suppler but I didn’t notice any other major significant change. It is good for hydration and relaxation purpose. It is easy on your pocket and there are many varieties to choose from like STRAWBERRY, ALOE,LIME, ROSE etc. If you are as lazy as me, do try out these, I’m sure you’ll love it. Definitely will repurchase and would try out the other variants. I wish they had a store in BANGALORE as currently they have a few stores in DELHI. But you can always contact them on FACEBOOK as they do courier their items with free shipping above INR 3500. You can also order them from EBAY or BEAUTYNETKOREA which ships for free. I’m leaving the links for INNISFREE FB page as well as their official webpage link. 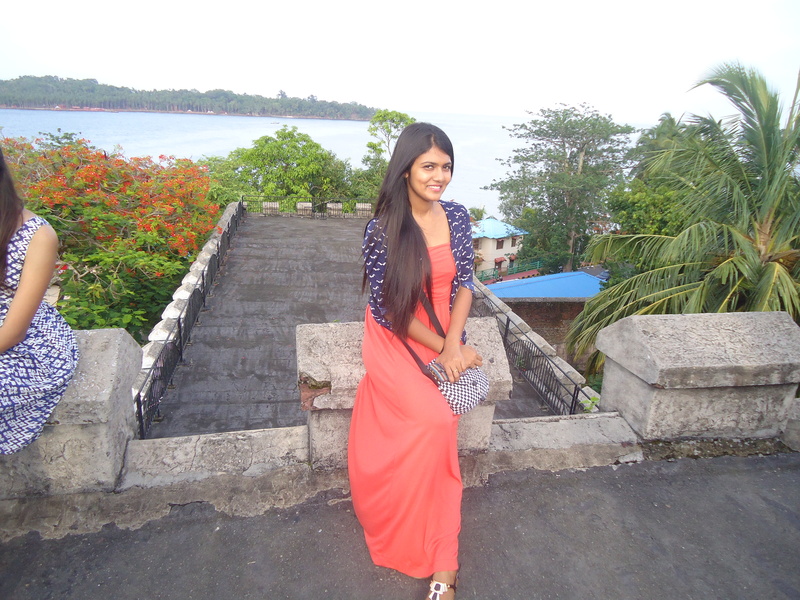 A visit to the Andamans is incomplete without visiting the ever so famous CELLULAR JAIL!!! 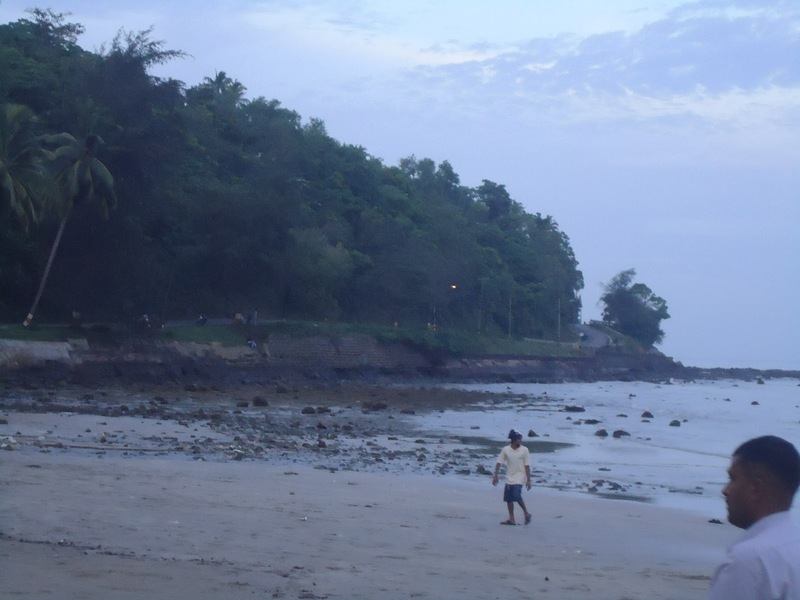 So here I was after our short beach visit at CORBYN’S COVE. 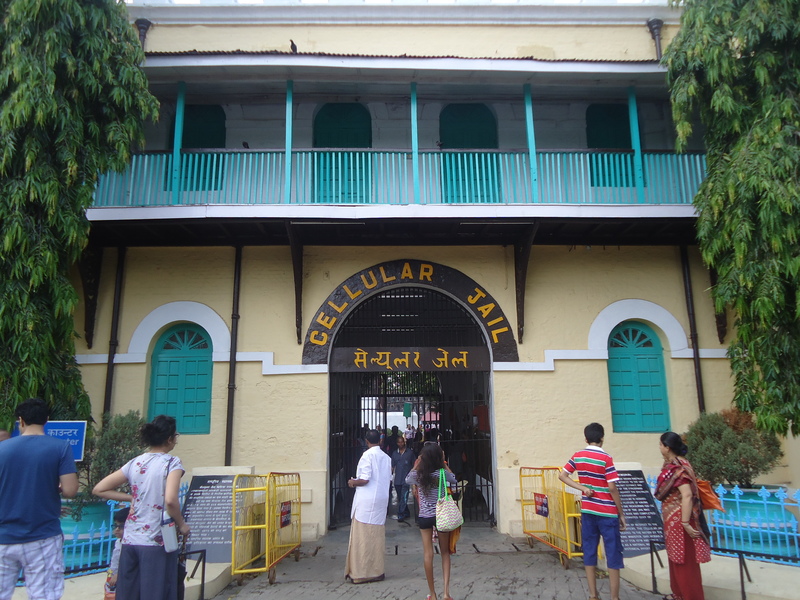 So let me tell you a little bit about CELLULAR JAIL, even though you’ll find a lot of articles on the internet about the same. 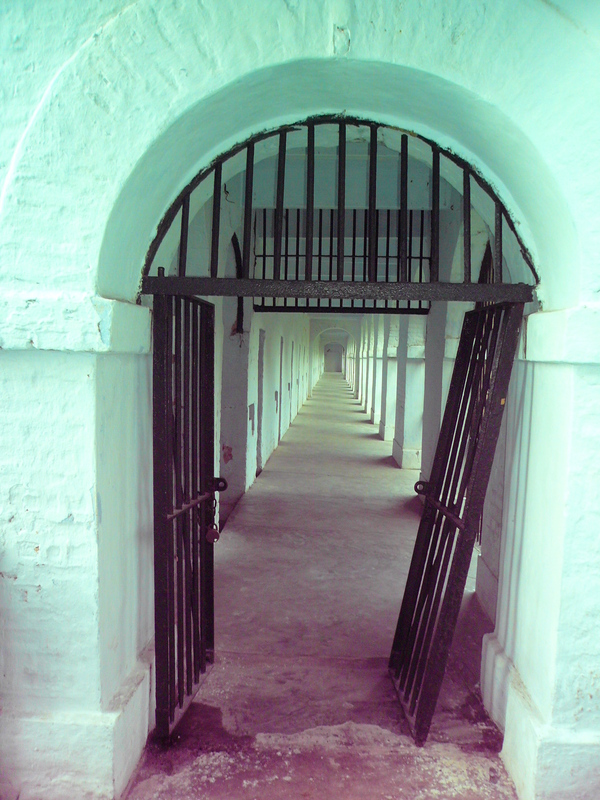 The Cellular Jail stands as a mute witness to the untold sufferings India’s revolutionaries went through. 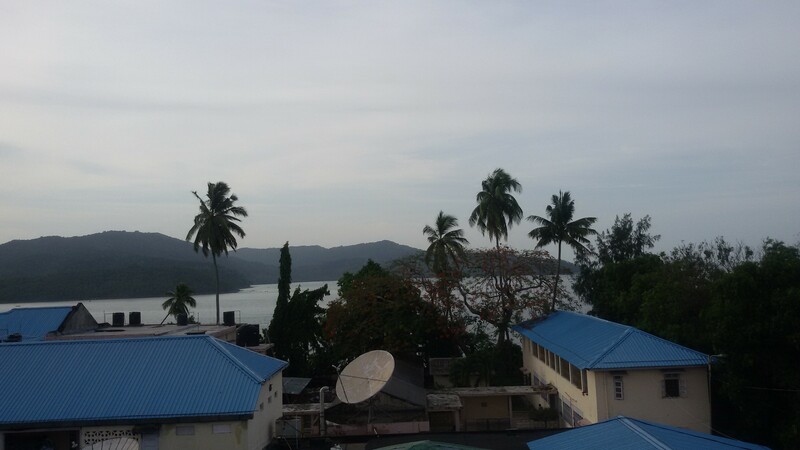 This jail is located in the heart of Port Blair and is listed as a national monument of India. 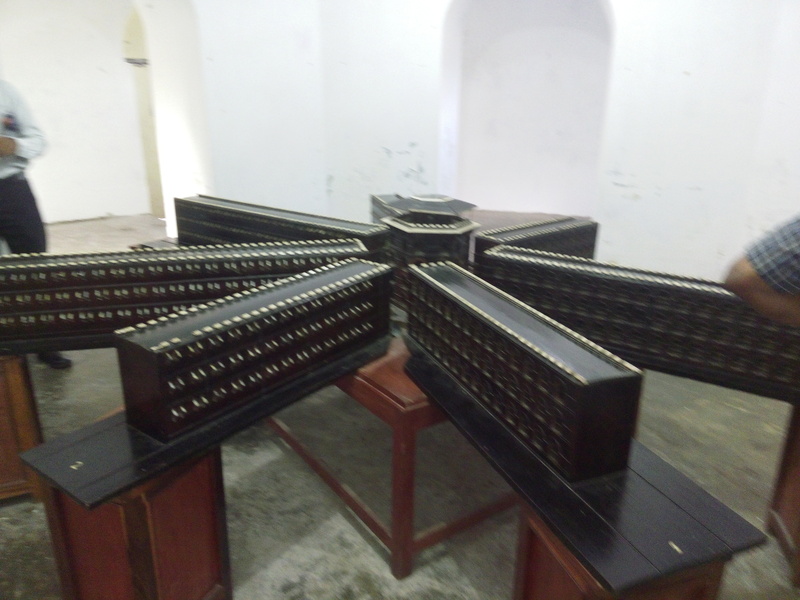 The jail was constructed under the British rule and was built over a span of 10 years .The name “Cellular” is because of its unique feature which was the total absence of communication between the prisoners in the different wings, since the front side of one row of cells with corridor running all along, faced the back of the other wing. I hope you understood what I mean!!! 😀 The jail was built with seven wings in the form of a star fish around a central tower. Each wing had three floors with 693 cells in each wing. But unfortunately there are only three wings left as the rest of the wings had been demolished during the huge 1941 earthquake. 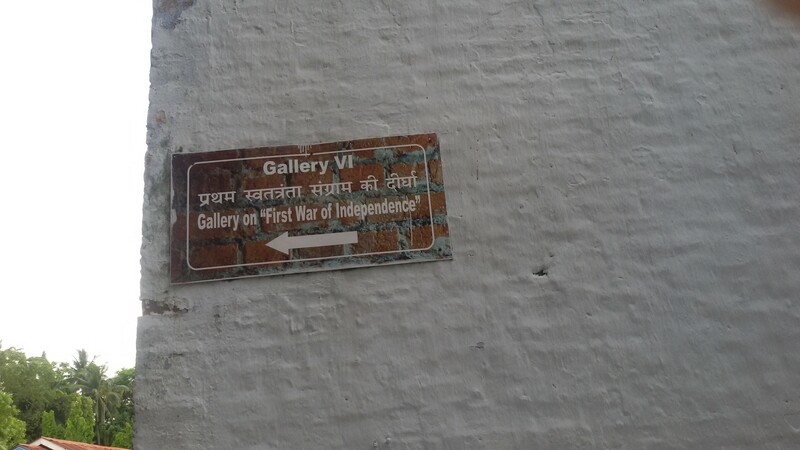 So once you enter the entrance to the jail, you will find a small museum where the pictures of freedom fighters who were detained here are kept. We took a few pictures inside and continued to look around the place. 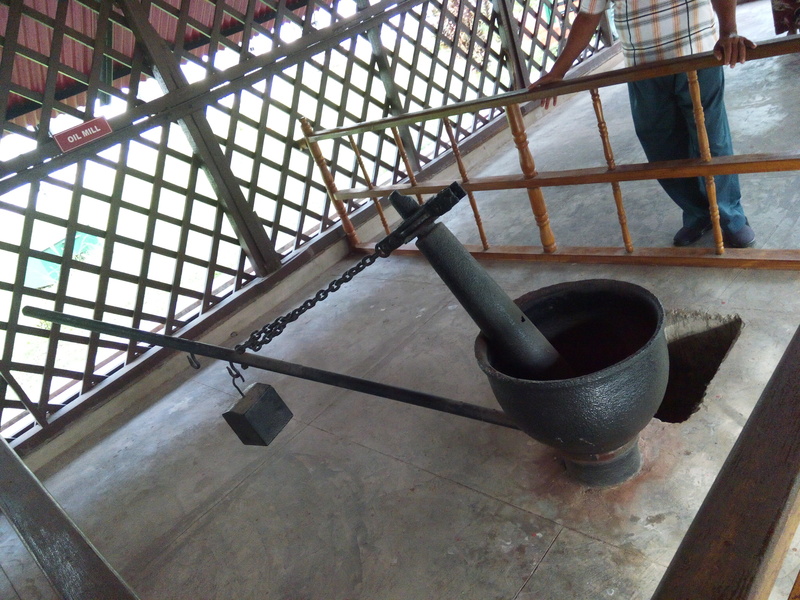 Next we visited the place where the prisoners were forced to take out oil from dry coconuts (copra) and each day a target was set for each and every prisoner and in any case the fail to take out the asked amount they were given punishments which was getting lashed by whips after getting them naked and they were tied to iron bars during the whole process. Some of the prisoners imprisoned here were those involved in the famous bomb blasts like the Lahore conspiracy, the Nasik conspiracy etc. 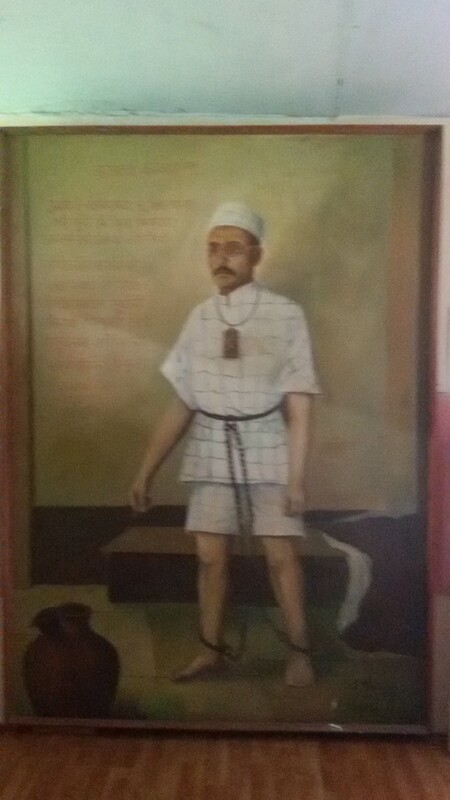 One of the famous freedom fighter who was imprisoned here was Veer Savarkar. We saw his cell which has been marked with a sign board. It was in this cell that he wrote on the walls about the things that he would hear from other cells. You will get a really eerie feeling when you visit the cells as there’s literally no ventilation and hardly any sunlight to enter and even the locking system is so unique that in no way could a prisoner break the lock to get away. 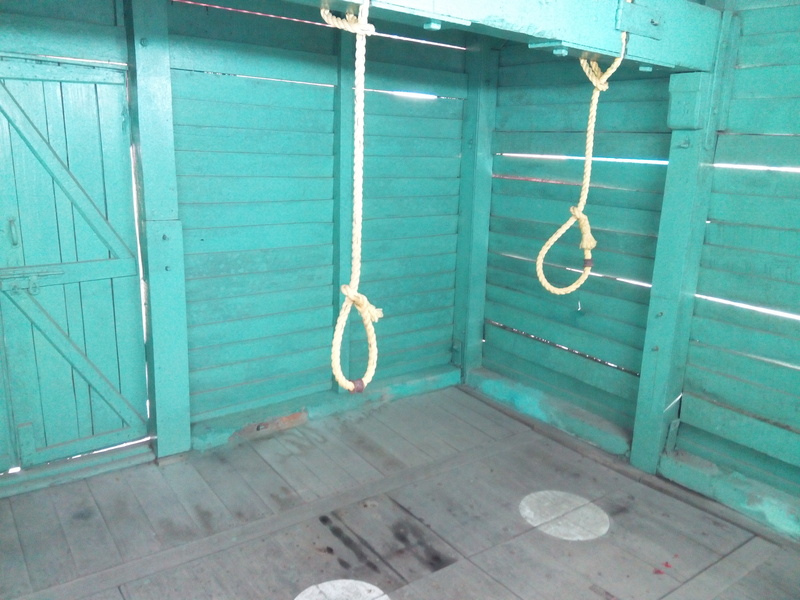 We decided to go to the next floor which also has the scary cells and somehow going through each cell, I could feel the torture these freedom fighters went through to get India its right to Independence. You could find the names of all these unsung heroes etched on marbles which has been laid on the walls in the central tower. 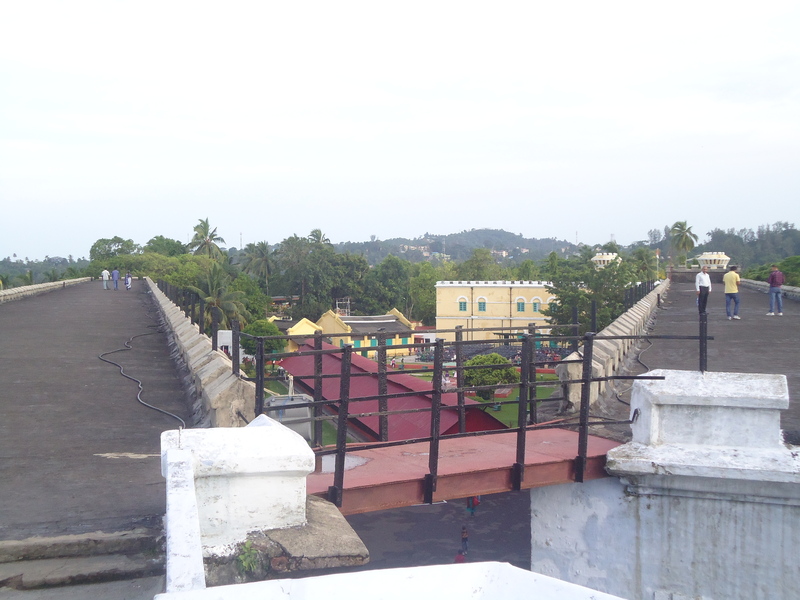 You can go to the terrace of all these wings where the British soldiers used to be present day and night to keep a watch from top. 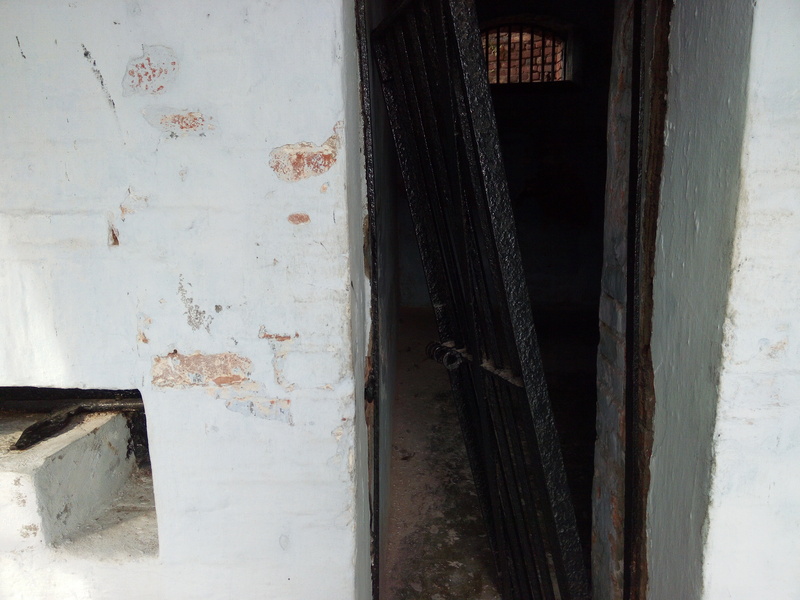 The jail was made in such a way that one can easily see the ROSS ISLAND, which was the colonial island for the BRITISH SOLDIERS and their FAMILIES. 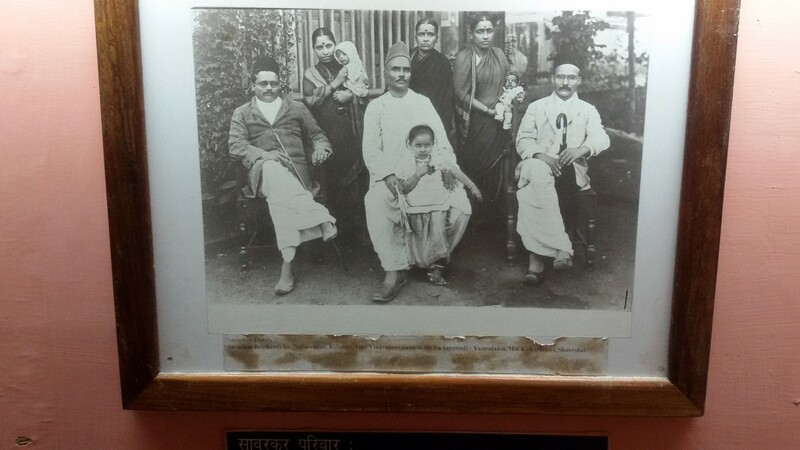 A recently built museum all dedicated to VEER SAVARKAR is also present now, and before we could finish looking at old of his pictures, the security guard came and shooed us away as it was the closing time and the light and sound show was about to start. We excitedly walked back to the seating area where you will find about 30 chairs arranged for a small audience. Once the light and sound show starts, one is supposed to switch off their cell phones as photography isn’t allowed during the whole show. Unfortunately there are some RETARDS, who do not understand the importance of this and continued filming and taking pictures. 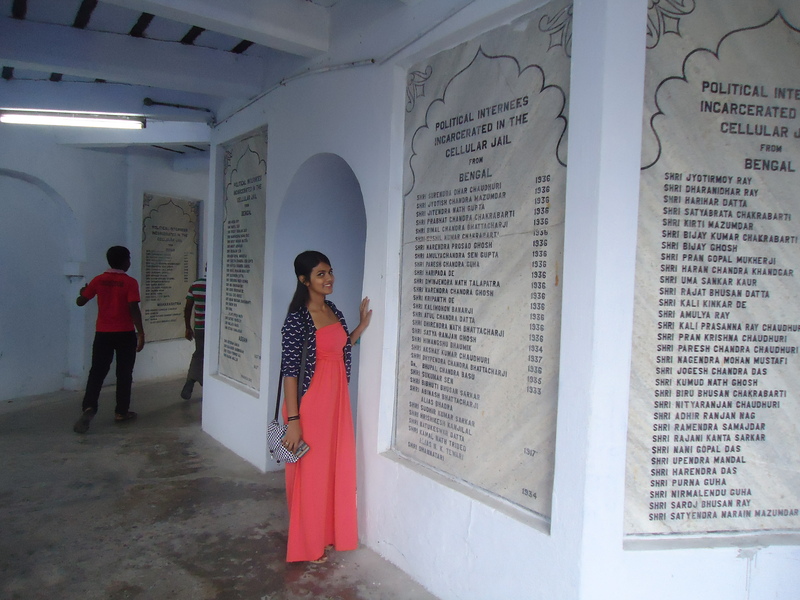 I absolutely loved visiting CELLULAR JAIL as you get a sense of patriotism when you see all those empty cells, rusted vessels and wonder if not these heroes, we might have still been struggling to live a life what we are living today. So after all this, we came out for a nice cup of CHAI (tea) and yummy JHAL MURI (puffed rice snack) and headed back to our guest house. I’ll be talking about my DAY2 and DAY 3 soon. 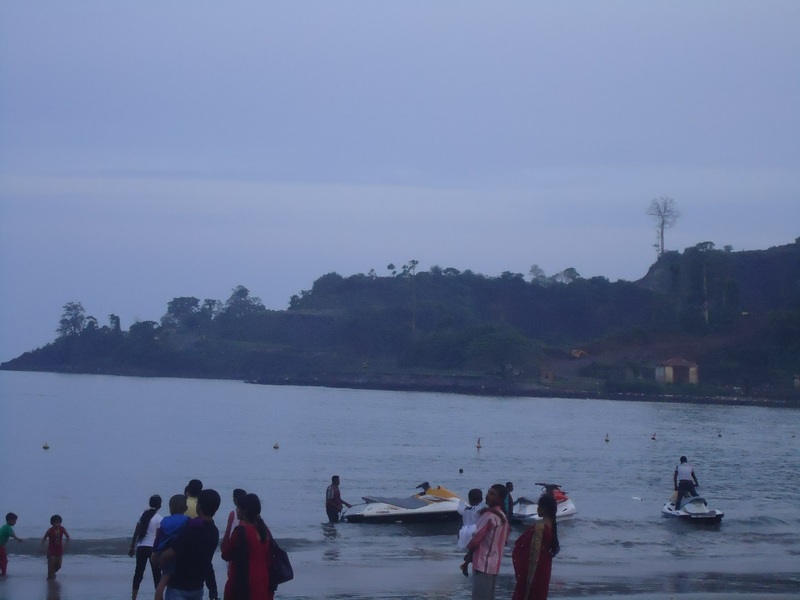 Till then do checkout the unedited pictures and let me know in the comment box if you would like to know more about ANDAMANS and if you liked the post. So these are my awesome purchases 🙂 You guys should go checkout this website as they have some really great deals going on and you will also get 50$ cash coupons while registering on the website. 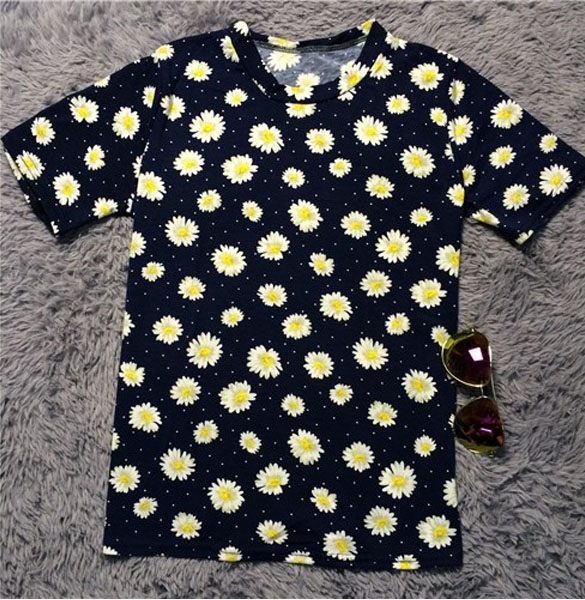 Do let me know in the comment box if you liked any of these apparels. I would love to hear from you all..
It’s a monthly beauty subscription bag that sends 3-4 products that contains at least 1 or more full-sized and the rest sample size products. 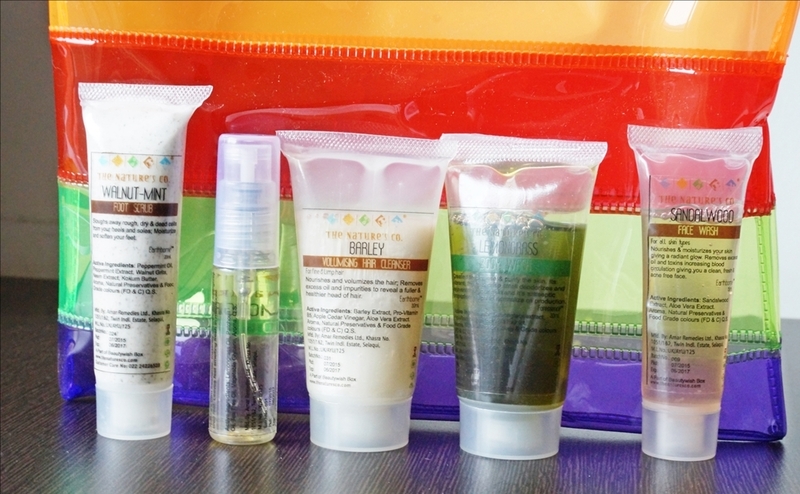 They send these products in cute little bags that can be reused as makeup / travelling bags as well. They have 1 month, 3 months, 6 months and a yearly plan and with each fabbag, they also give you discount coupons if you wish you buy the full size products. One month’s subscription is for INR 599 which is a great deal considering you’re getting 4 products. Recently they have come up with the men’s fabbag also and a discount is currently going on this bag at INR 599 instead of INR 3060. For a nominal subscription of either Rs 495 for the MSM Express Box or Rs 995 for the MSM Select Box or MSM Diva Box for RS. 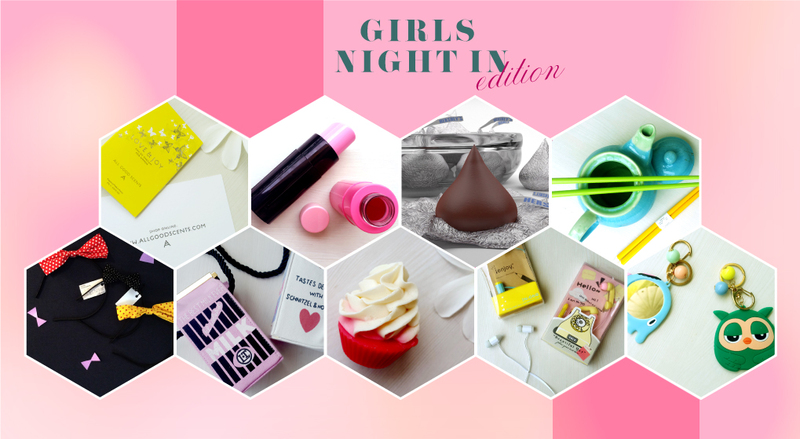 1,995, every month, you get a surprise goodie box containing beauty, grooming and lifestyle products from new and established beauty brands. They have also started MSM men’s box for Rs 1495. You can go for their monthly plans or the other plans just like FABBAG. And like the fabbag they provide you with some of the best brands both sample sized as well as full sized products.The Express Box is about leading established brands while select box is all about luxurious brands so one can select according to their preference It all depends on what box you select and what surprise you will find outside your door. “Discover the world of beauty from the comfort of your home”. That’s what they say on their website. When you subscribe to my envy box, you get 5 product samples from Luxury & Prestige brands every month. 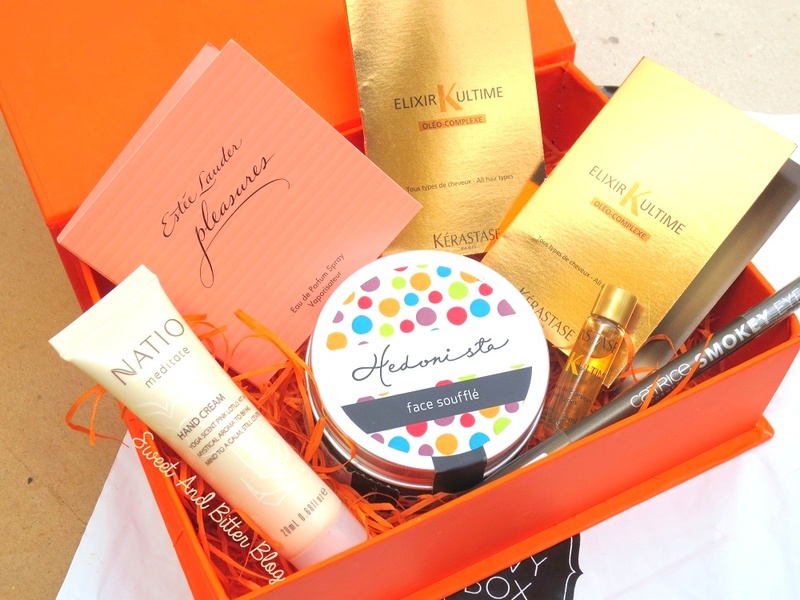 Like the other beauty boxes, they also have various plans with their 1 month plan starting at INR 850. They usually have sample sized products in them but the brands that they send are pretty expensive and 850 is a great deal when you find the products in them. This box is brought to you by the NATURE”S CO brand which is very popular for their natural and chemical free skin and hair care products. You get 5 deluxe sized and 1 retail sized beauty products along with many other discount coupons and freebies right at your doorstep. The best thing is that every month there is a dedicated theme and accordingly products are sent to you. The one month subscription is for INR 595 and i love their packaging as all the products come in bubble wraps to protect them from any kind of damage. 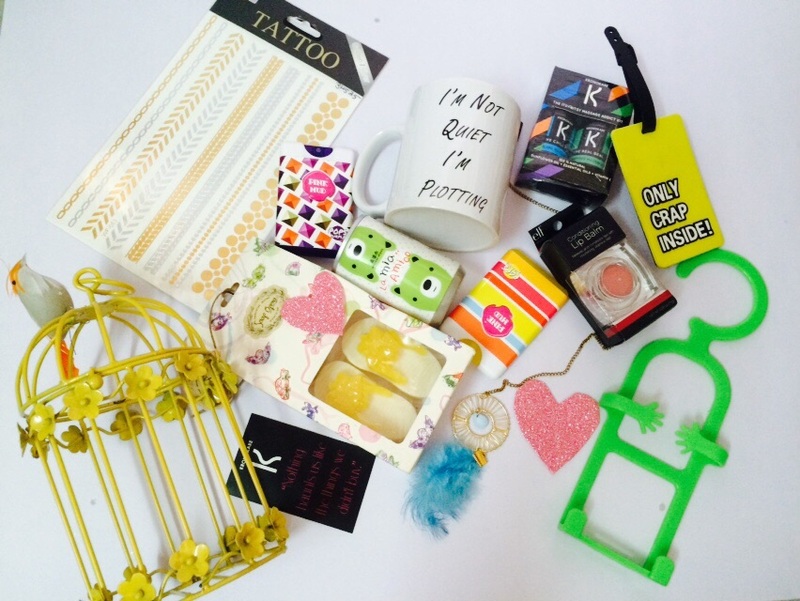 Sugarbox is a curated box full of exclusive goodies which are hand-picked by their in-house stylists just for you. You will receive the latest international trends in fashion, beauty, lifestyle and gourmet products at your doorstep, every month. Guys, they have such cute packaging and the products in there are just WOW!! They usually do not reveal the products until they don’t ship out and the best way to find out about their products is to follow them on instagram where usually their subscribers will post what they received. For monthly subscription it is 1499 INR and the products are to die for. They are so chic and classy. You guys will love it!!! Every month they will have handpicked brands that will leave you awestruck. These cages look super duper cute and trust me guys it’s going to be one of your favorite decorations in your room and your friends will definitely envy you for that cage. Every month the cages will be of different shape,material and decor and will have a unique theme to it. Their monthly plan starts at INR 1350 which is a super amazing deal for the products and the cute cage that you will get. 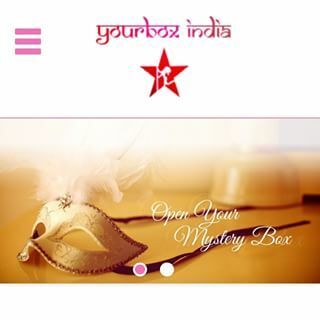 YourBox India is a monthly subscription box brand. They promise to provide you a self curated complete outfit at just INR 1499 and INR 899. It is customised to your preferences. An in house specialist picks up items for your outfit based on the form that you will fill, and carefully package them in a box which will further be delivered at your doorstep. Their idea is so amazing that you will simply love it when the packaging arrives. It is completely a surprise as you will have no idea what dress or what accessories you will be getting. They have a YOURBOX MINI which will have a clothing item, a jewellery and some chocolates or candies and YOURBOX REGULAR that has Clothing Item, Footwear/Handbag,Wardrobe Staple,Statement Jewellery, Fun Stuff, Gourmet Product. I still haven’t tried their box but I’m planning to get one this month as they have a RAKSHABANDHAN special. 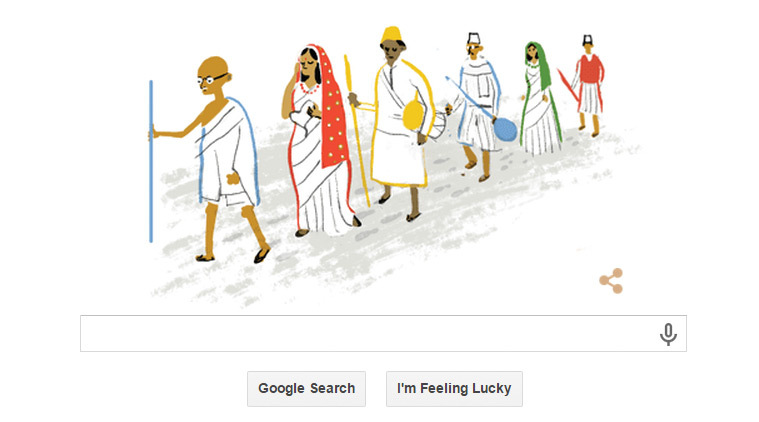 HAPPY INDEPENDENCE DAY TO ALL MY INDIANS!!!! I am a big time shopaholic and will be constantly looking for great online deals and recently I’ve been shopping a lot from websites that ship worldwide for free and has a safe and secure way of payment too. This online shopping site called CHOies,COM has so much variety ,that you will get confused what you should order and what you should leave for the next time. And the best part is the price; they are so affordable and yes, they have FREE SHIPPING WORLDWIDE too. They have a great refund policy and you can even pay through PAYPAL. 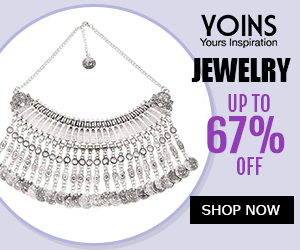 Do checkout their ongoing spring sale and grab up to 90% off on a variety of dresses, bottoms, shoes and chic and classy accessories at a very affordable price. Click on the picture given above to go directly to their sale page. I was begging my parents to take me out on a vacation from years (you know how parents become all boring as you grow up and want to just chill at home, exceptions not included :P) and finally my dad agreed to take us all for this crazy awesome blossom VACATION!!! Since I stay in Bangalore and my parents in Chennai, I had to travel down to Chennai to catch a flight with them. Oh, and I forgot to tell you guys only me and my mom dad went for the trip as my baby bro had better plans which lets not talk about here. 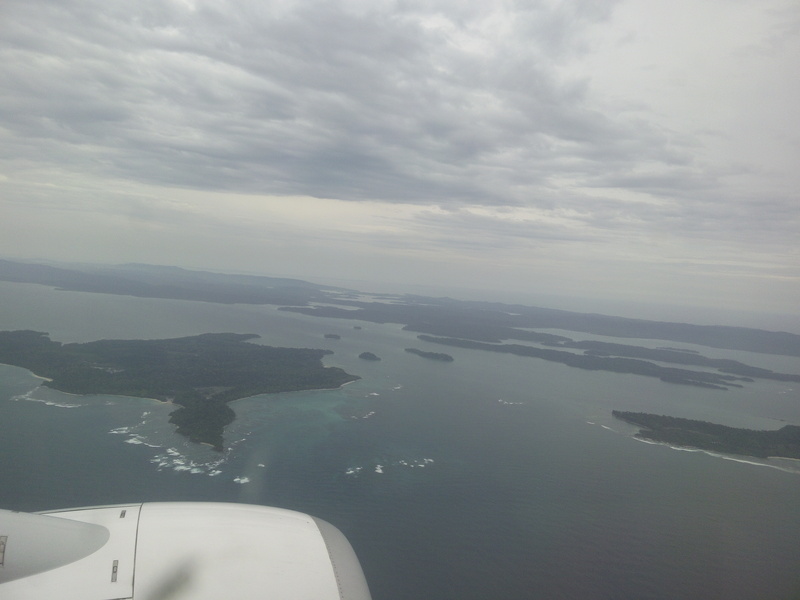 And if you ever plan to go to Andaman, you need to know that only Spicejet and Air India/ Indian Airlines have services to the islands and the tickets are at a little costlier side, so book the tickets a month or two prior. So we took the early morning Air India flight and since it was kind of the beginning of monsoon, all the flights got delayed. 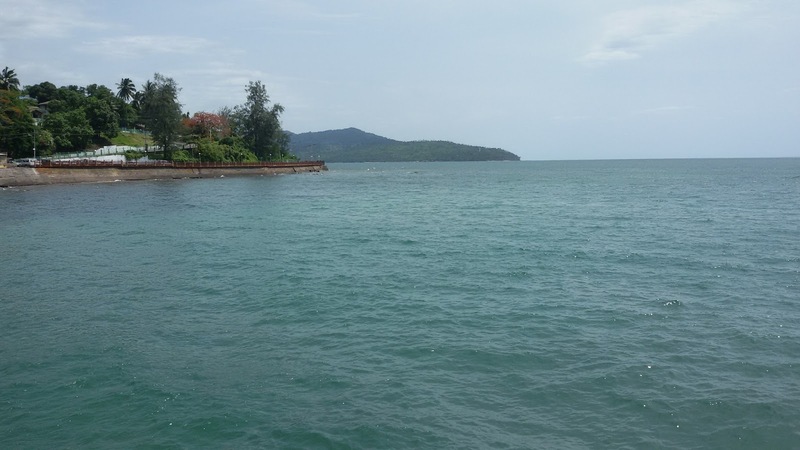 But nonetheless we reached Port Blair almost before noon. There’s an area for kids to play and rent cycles as well. 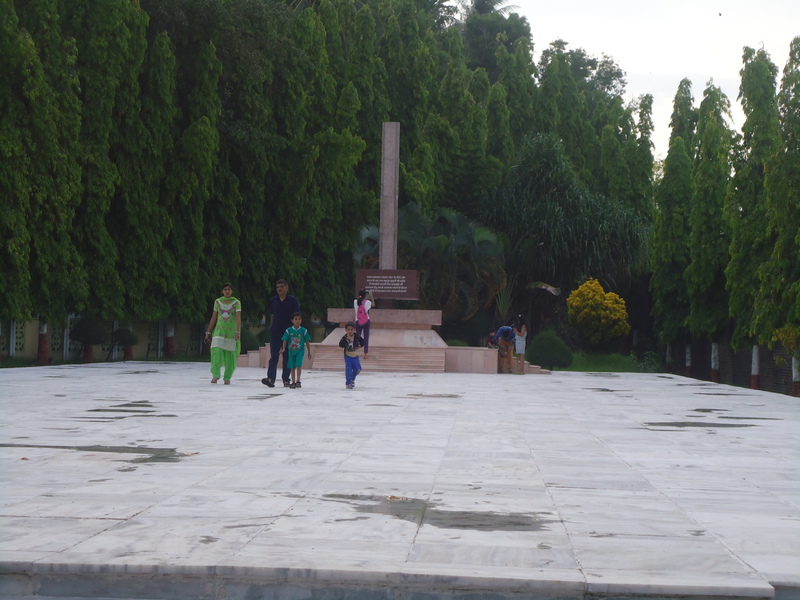 Adjacent to it is the Government Sports centre which has swimming pool that can be used by public at a nominal fee. 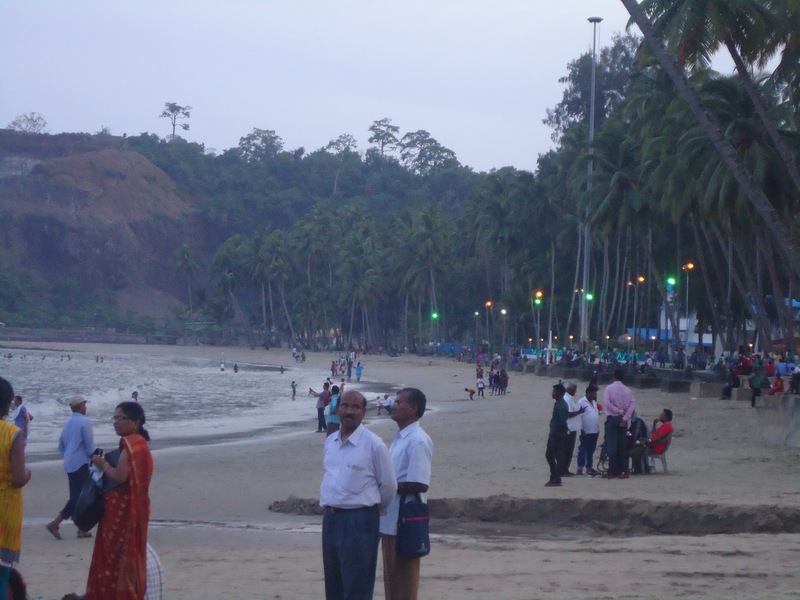 People who are interested in water sports can book there slots in the water sports counter. They also book slots for scuba dicing and snorkeling that is done in North Bay island. 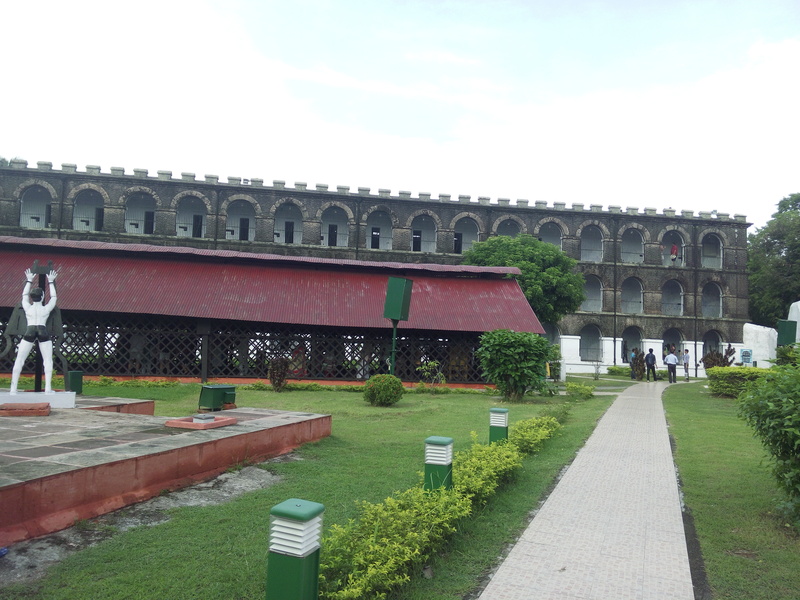 The next destination was the Cellular Jail which i will be talking about in my next post. Get rid of that shiny whiny face!! If you go to Kerela, you will find people religiously using products from this brand and this face pack is one among the bestsellers. Removes grease and oil from the skin and helps in improving the complexion. Mix the pack with water/tomato juice/orange juice/honey/curd/rose water as per the skin type and apply on the face. Leave this pack for around 3-5 mins and wash it off after gently massaging it. I love the way it removes all the dirt and oil from my face and you can even use it as a face wash everyday as it is ayurvedic and will not harm the skin in any way. 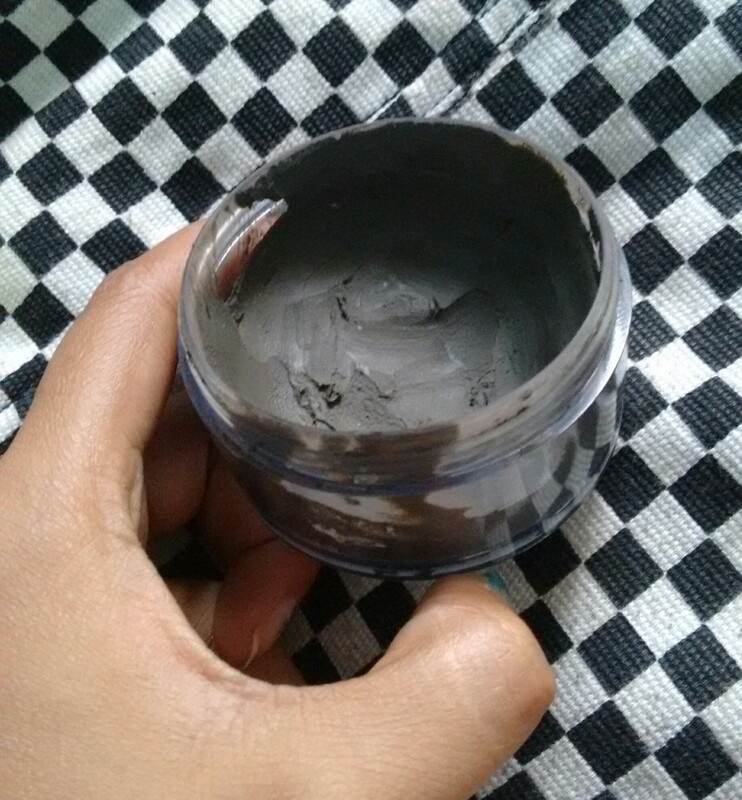 This has improved my skin quality and also helped me deal with pigmentation problems. I’m just a little bit disappointed with the packaging as it is in the form of a tub and usually when you open it, some of it will surely spill out. But for the results that it gives, this is just a minor issue. A must try for this monsoon. 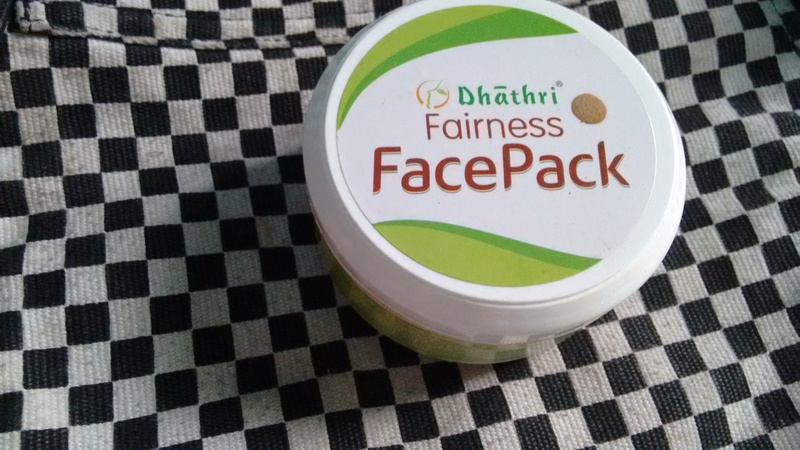 Dhathri can be found in most of the Kottakkal Arya Vaidya Sala outlets or their pharmacies which you will find mostly everywhere in south India. You can even purchase it online on flipkart, amazon and their official website. For a 50 gm product, it costs 205 INR and trust me this tub can last you for months. Oh yes!! My mom is a fan of Dhathri from years and she’s the one who introduced me to this magical product. 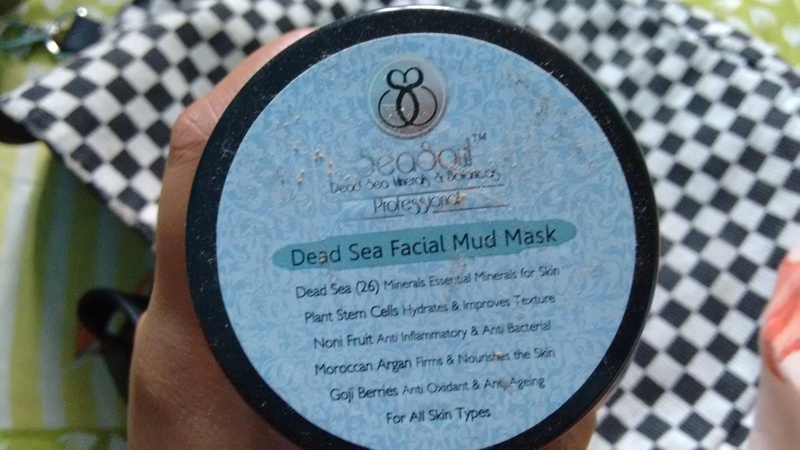 This is my absolute favorite mud mask and I thank FabBag for introducing me to this fantastically awesome product. Apply a very thin layer on the face and neck area after cleansing and let it dry for 10-15 mins. You can either wash it off directly or can use a towel dipped in warm water and place it over the mask for a minute and then clean it with the same. The best part about this mask is that it is paraben and sulfate free and is free from many other harmful chemicals. Even a dry or normal skin person can use this mask. Soon after the use, I can feel the difference in my skin, though temporary but if used 1-2 times a week, it does help reduce the oiliness on your skin. 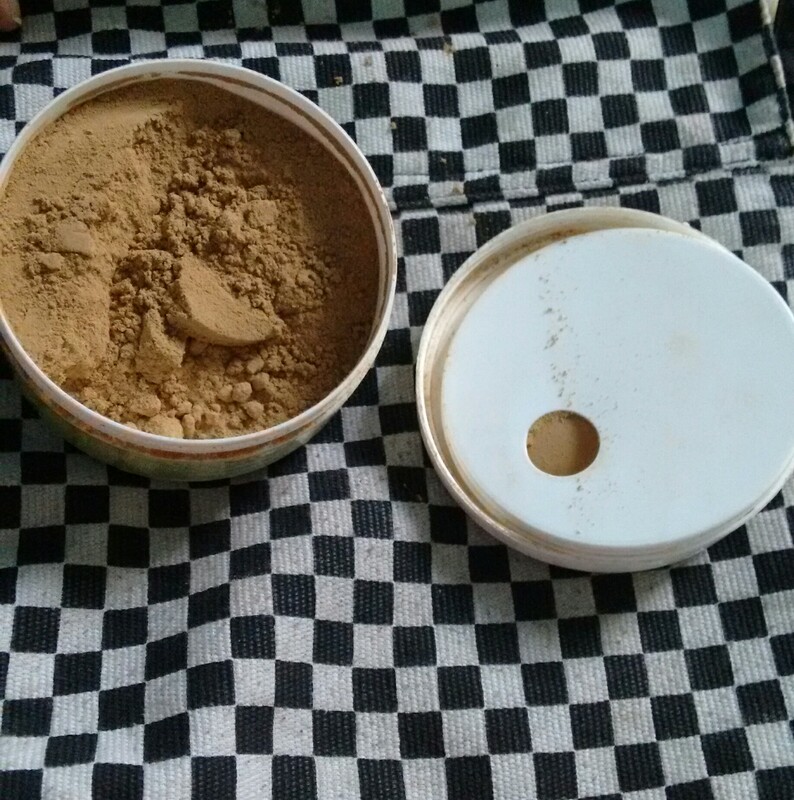 This has a major disadvantage of drying up very fast, so be very careful to close the lid properly after every use. Mine is already a little dried up, so i use a little bit of rose water for smooth application. And be careful of its weird smell, can be a bummer!! I got this in my Fabbag and you can purchase it either from the official seasoul cosmetics website or from fabbag (you might find some discounts here 😉 ) This is at the pricier side but definitely a good investment. If you blog, you’ll like @bloggabase, connecting bloggers with brands and marketers. Sign up at bloggabase.com. A 20 something girl, an engineer by profession and a beauty, fashion and lifestyle blogger by passion, you’ll always find me with my fingers deep in all sorts of creative pies. That Trip-e Urban Life is my journey where I take you through my eclectic fashion experiments, products I come across ranging from beauty, food or basically anything lifestyle and fancy my eyes. From fashion to beauty reviews to affordable lifestyle tips, That Trip-e Urban Life strives to present to you the best of all worlds and help you know about new launches, events and lots more with fun & engaging content. Here are some of the brands/companies/designers/websites from all across the globe whom I’ve worked with so far and who have benefited from their partnership with That Trip-e Urban Life, so much that some of them have collaborated more than once with me! Wella, Kerastase, Revlon, Maybelline, L’oreal, Innisfree, PopXo, Sammydress, Clovia, Zivame, Stalkbuylove, Forest Essentials, Fujifilm, Gilette, Wills Lifestyle and many more. I’m also active on these social media platforms and post every single day (well some days are exceptions). Thank you so much to all those who stopped by my page. All your suggestions and of course honest critics are welcome. Do feel free to share your thoughts and feedback through a sweet email from your end or your very own comment box.